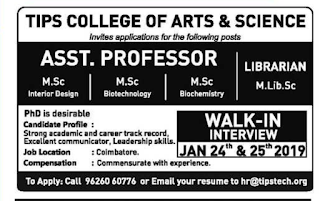 Coimbatore,Tamilnaduhas advertised for the recruitment of Teaching Faculty- Assistant Professor jobs vacancies. Interested and eligible job aspirants are requested to attend walk-in interview on 24&25th January 2019. Check out further more details below. 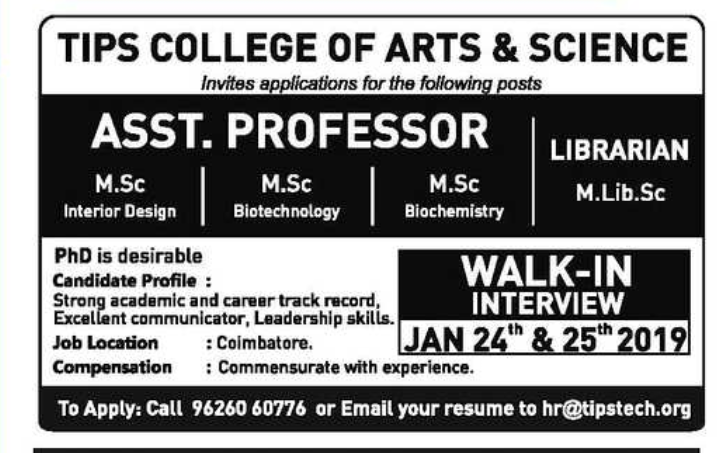 Name of the College: Tips College of Arts and Science, Coimbatore,Tamilnadu. Strong academic and career track record. How to Apply: Interested and Eligible candidates Email Resume.